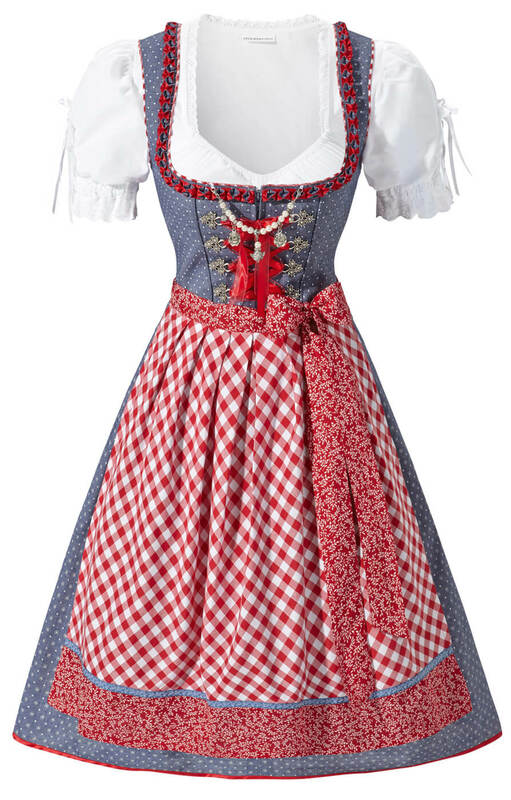 Mididirndl 60cm Jolanda in Retro Blue. 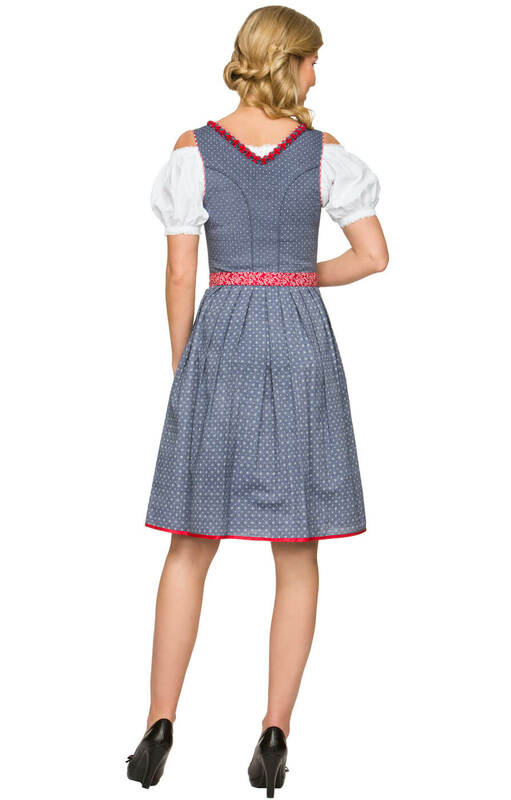 This classic mid-length dirndl dress is a true original, designed with a real eye for traditional detailing. 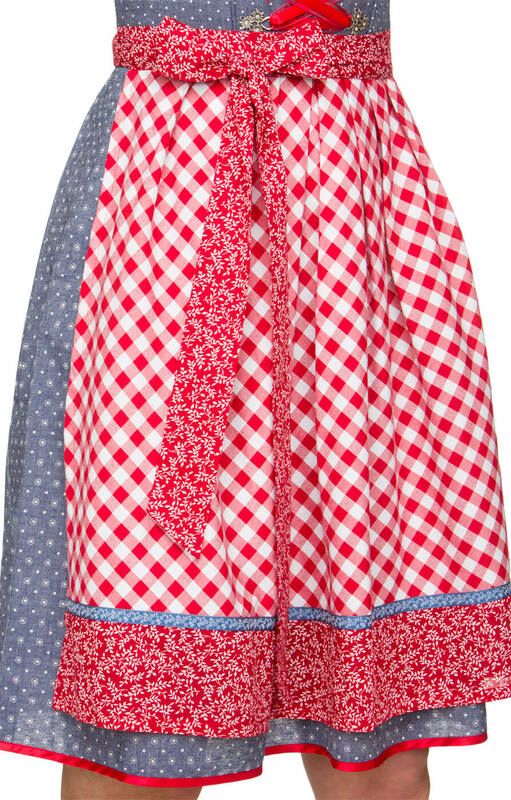 New to our range, this pinafore dress comes in a mid-blue and white polka-dot, perfectly set off by the gingham check front and the red and white ribbon at the waist. The colour combination is continued in the piping and subtle ribbon trim along the straps of the bodice. A concealed zip front is closed with vivid scarlet ribbons – looped through ornate hooklets - and finished with a traditional string of pearls and charms.